Veal is not a meat purchased by everyone, and I hope nobody thinks I haven’t a conscience. It’s just that if I actually focused on the whole idea of killing animals for human consumption, I wouldn’t eat meat at all. I of course believe in the most humane procedures in killing animals, but then, I could also argue that killing animals isn’t humane at all. So I really try not to think about it. This veal was actually at my market today when I was shopping, and it’s something that rarely shows up, much like lamb, so I grabbed it. If this helps, I haven’t actually had veal in years. But I remembered a simple recipe that I used to make ages ago on the grill. It takes minutes to prepare, which made it perfect for when I worked full time. 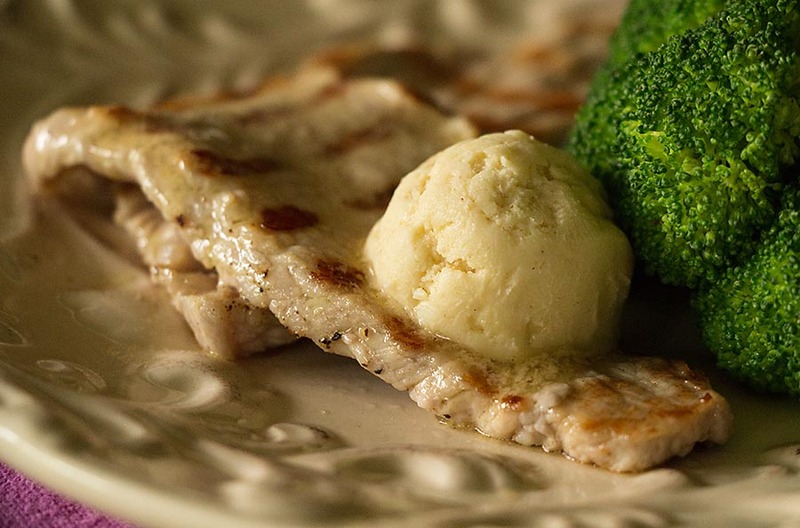 There are two ingredients in this veal recipe besides the veal – butter and Dijon mustard. That’s it. 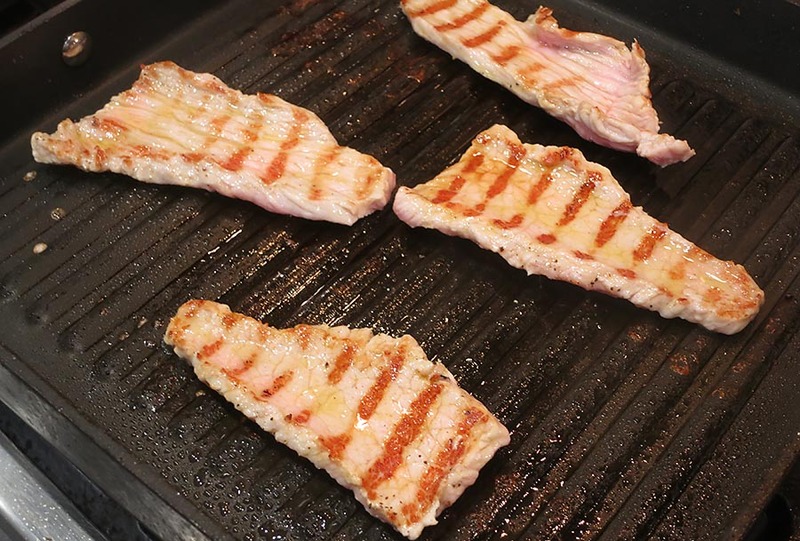 You simply make a mustard butter, and then let it melt on top of the grilled veal. Easy and fast for summer grilling inside or out! First, make the mustard butter. I used twice as much butter as mustard, but this is up to you. Place the butter and mustard in a small bowl. Beat the two until smooth. Then chill in the refrigerator, although this is optional. Another option is to make a roll of butter, much like you do with a compound butter, wrapped in plastic. Then it can simply be sliced after being refrigerated. I just made such a small amount that this wasn’t necessary. 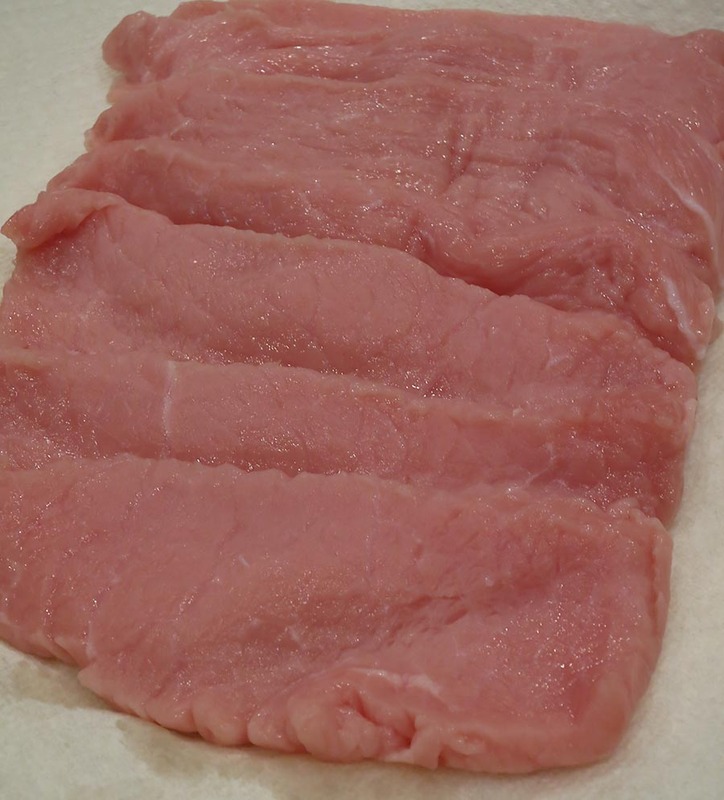 When you are ready to cook the veal, have it close to room temperature. Then dry it off on paper towels. 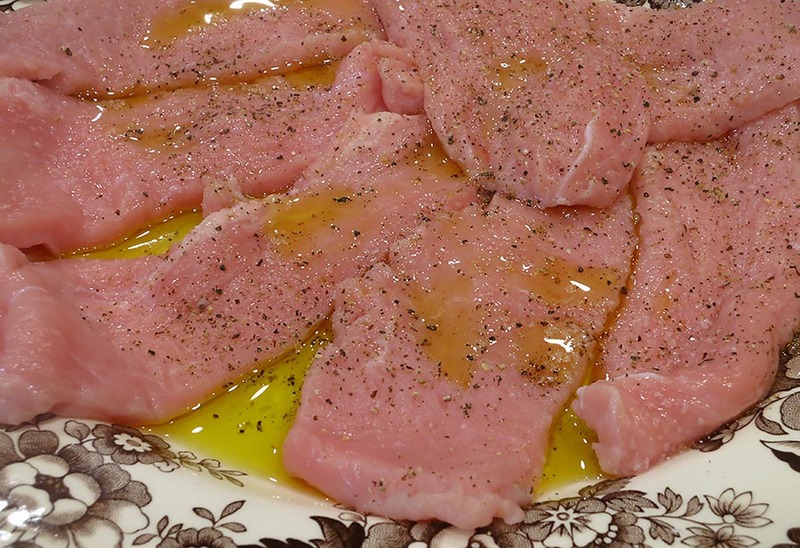 Pour a little olive oil on a dinner plate, place the veal on top, then drizzle a little more oil. Season with salt and pepper. The veal will take 2 minutes to cook, so also have your mustard butter soft enough to scoop up. Also have your vegetables hot and ready to eat. Heat up a grill over high heat. You can use a grill outside as well, but I wouldn’t waste the time it takes to prepare charcoal. These just take so little time it’s also not worth using the charcoal. Place some of the scallops on the hot grill, being careful not to crowd them. Cook for barely a minute, then flip them, and cook for another minute. 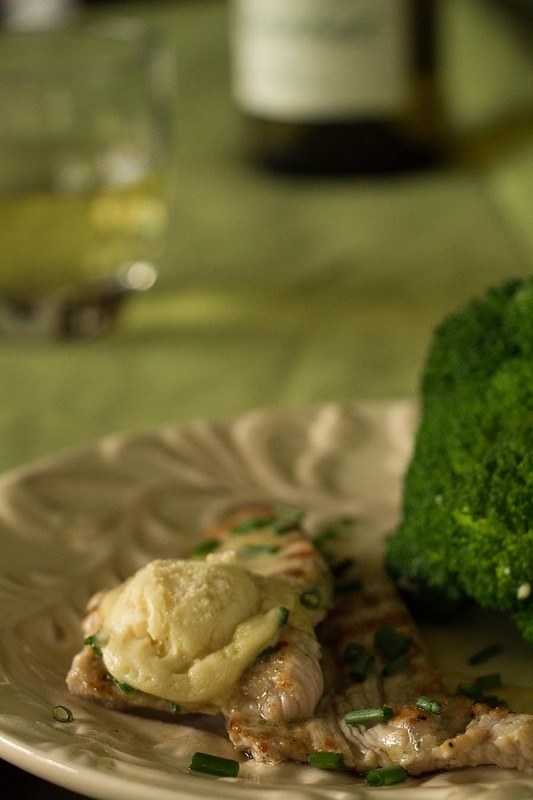 Serve the veal scallops topped with a scoop of the mustard butter, and let it melt away. As an afterthought, I also sprinkled some chives over the veal. Basil would be good as well. This simple veal dish is as delicious as I remember it. Just make sure to not overcook the veal. Delicious, love the mustard butter, bet it would be delicious on pork also! I like and eat veal :) Love the look of this mustardy accompaniment. It’s not overpowering at all – unless you add too much mustard, I imagine! Great dish undervalued veal is .. As a by product of the dairy industry rose veal is stunning and should be eaten! I agree. I just don’t do it often because I can’t get it typically! North Buckinghamshire has loads!! There is also the next step up vittelone? May have spelt that wrong!! Blackface company sell and ship it.. It’s great! I don’t have a problem with veal as long as it’s rose veal, not crated. At a farm near us the male calves frolic happily for a while with their mums then become rose veal. Better than slaughtering them out of hand as some dairy farms do. Nice photos Mimi! While we consume cheese and milk, there will be veal. Crate raising should be banned worldwide as it is here. Mustard butter…why is this not more of a thing? Did you come up with the combo yourself? Also, I recently tried a green peppercorn Dijon, which was the best I’ve ever had…so you may be interested in trying that out! If the veal is humanely raised, then I think it’s okay to have it every once in a while. I love how simple this recipe is! I lost one follower immediately after the veal dish posted! I get most all of my meat from D’Artagnan. Simple can be very good! It definitely would be. 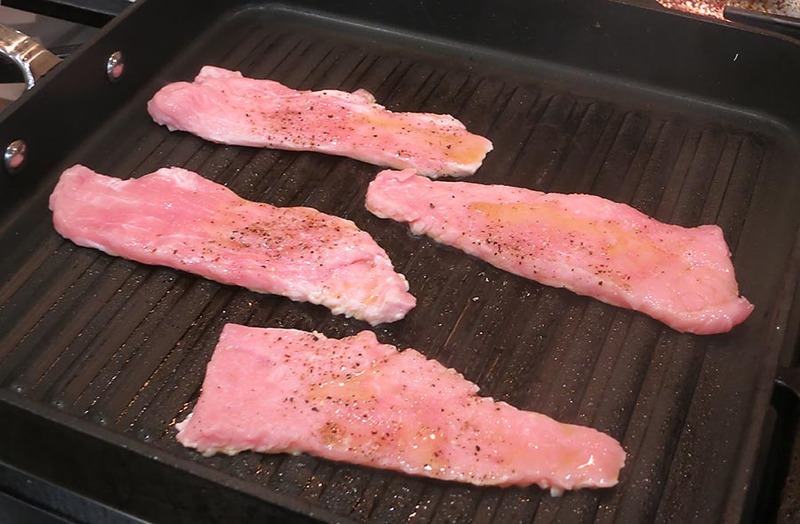 It’s just important not to overcook, like with all meat.